A Dynamic host configuration protocol(DHCP) will alloy you to assign the IP address for a large number of clients automatically. DHCP protocol will assigns unique IP addresses to devices, then releases and renews these addresses as devices leave and re-join the network. 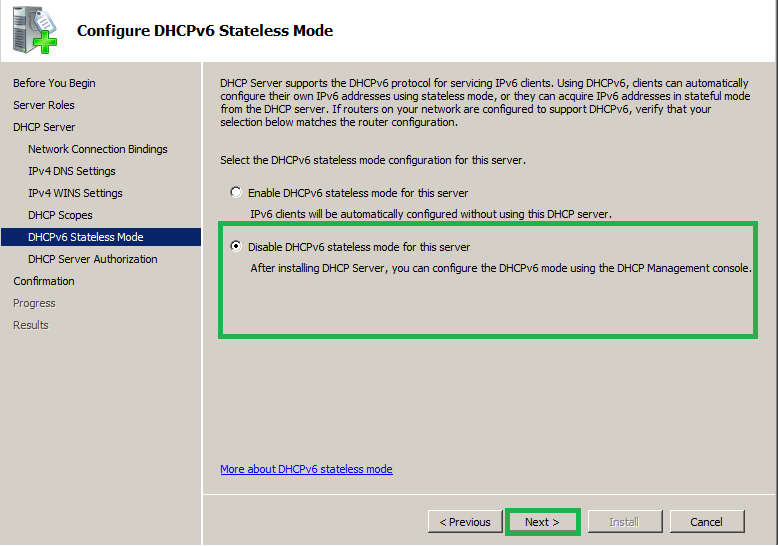 DHCP environments require a DHCP server set up with the appropriate configuration parameters for the given network. Key DHCP parameters include the range or "pool" of available IP addresses, the correct subnet masks, plus network gateway and name server addresses. 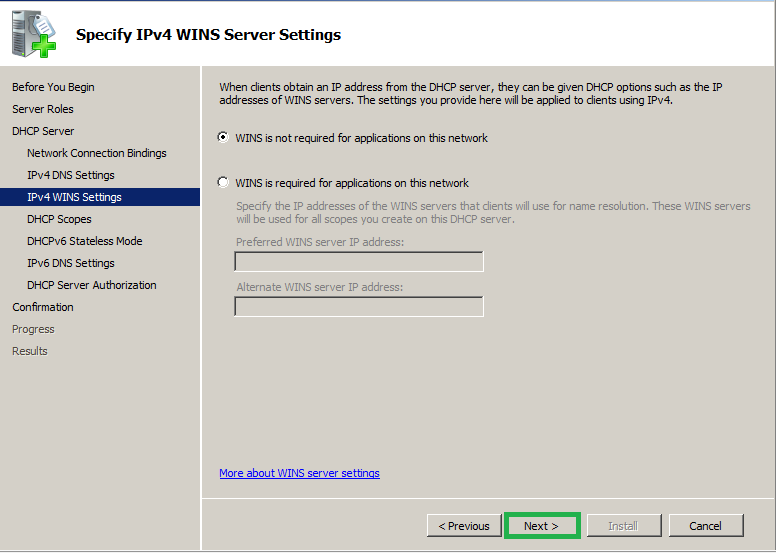 Devices running DHCP client software can then automatically retrieve these settings from DHCP servers when needed. DHCP clients are built into all common network operating systems. 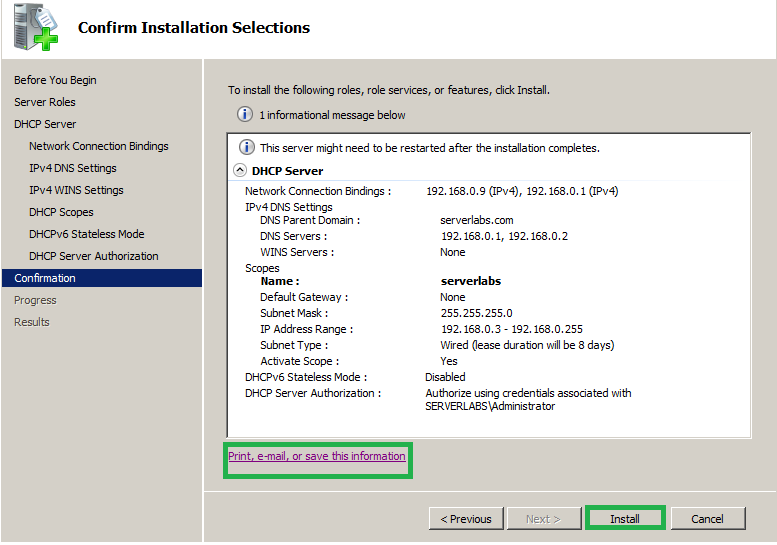 Using DHCP on a network means system administrators do not need to configure these parameters individually for each client device. 1. Open 'Server manager'-> 'Add roles'-> Click on 'Next' button in Welcome window. 2. 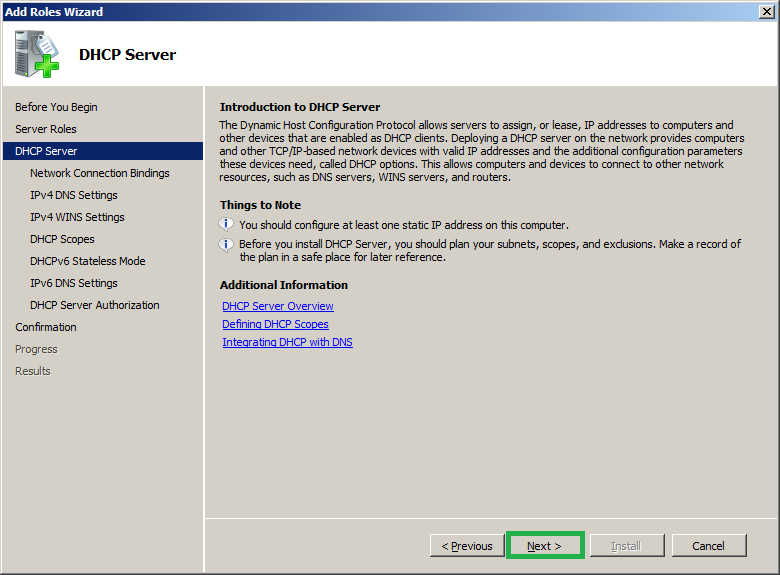 Select 'DHCP Server' and click 'Next'. 3. 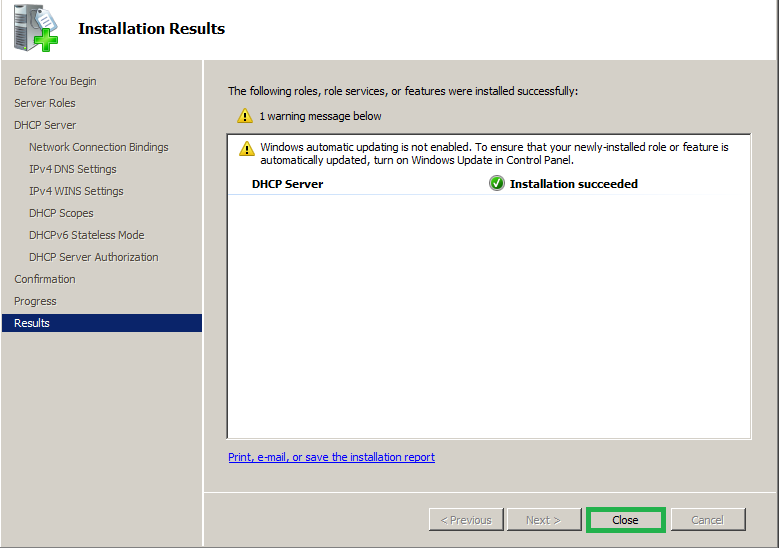 Have a look at the Introduction to DHCP window and click 'Next'. 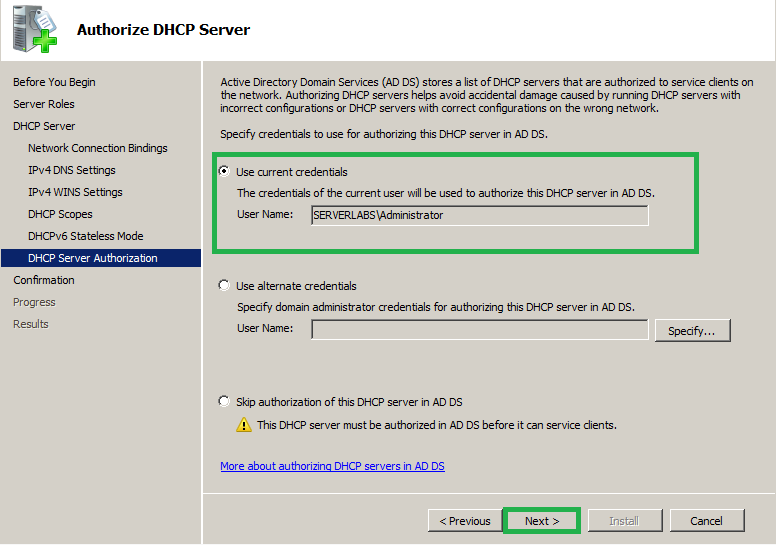 If you would like to have more details about DHCP you can click on 'Additional information' link and it will redirect you to the necessary websites. 4. On next window you will re-directed to 'Network bindings' which will automatically detects the available static IP address in the server. 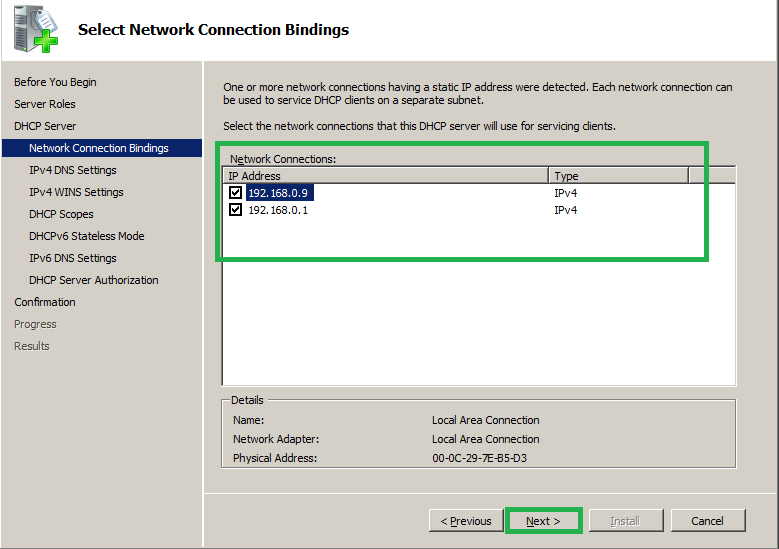 When you have more than one static IP you can use the each network connection can be used to service DHCP clients on a separate subnet. 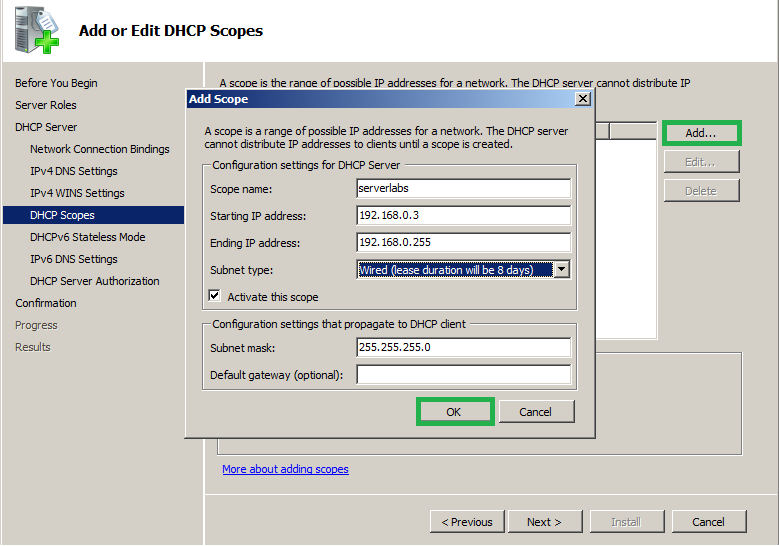 If you do not require any static IP as the part of DHCP you can un-tick that and Click 'Next'. 5. Now you need to specify the 'IPV4 DNS settings'. It will automatically detect the DNS settings in your network. If these details are wrong edit it and click 'Next'. You can test the connectivity of DNS by clicking on 'Validate' button. 6. Since I don’t want the WINS service in my network now I have selected 'WINS is not required for applications in this network' and click 'Next'. 7. 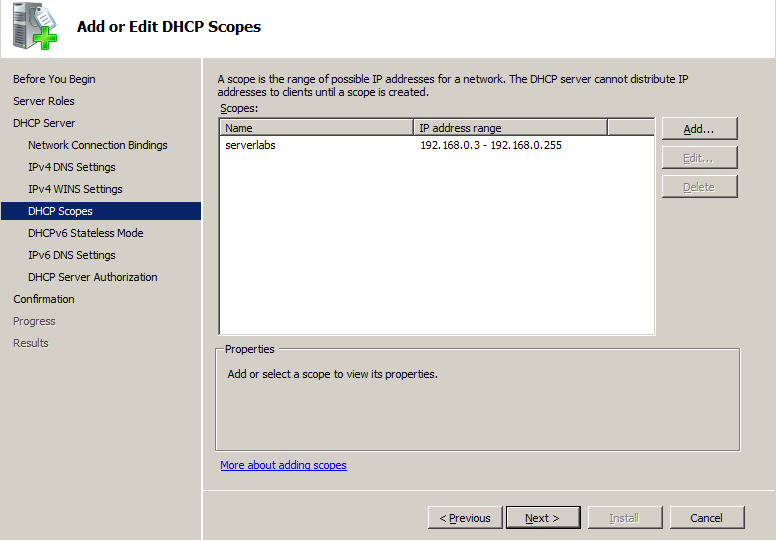 Now you need to specify the scope of the DHCP server that will allocate in your network. You should specify the starting and ending IP address, Click 'OK'. 8. Now you need to specify whether you need to configure IPV6 stateless mode for this server. I will disable this service since IPV6 does not exist in my network and click 'Next'. 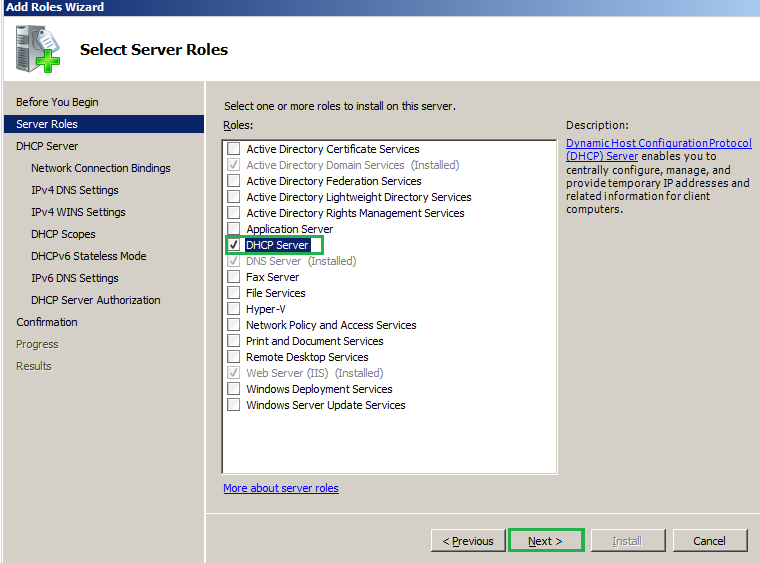 9.Please specify the Active directory integration details. It will automatically identify the logged on user or change other user who have necessary privilege in AD. 10. Now you will have the summary window that will list out all the specifications that you have made so far. You can either save or e-mail this for future reference. 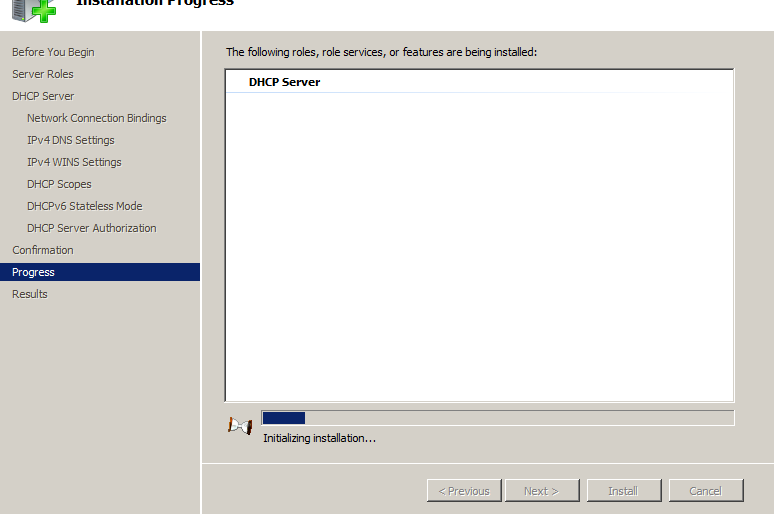 In order to continue with installation click on 'Install'. 11. Click 'Close' and you can open your 'DHCP' services from 'Administrative tools'.